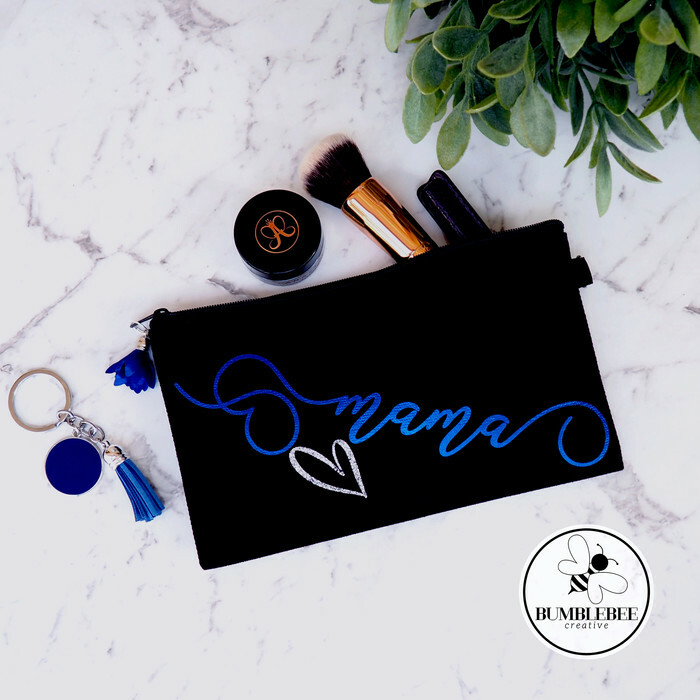 This stylish cosmetic bag is for Mama, I can make one for you or your Mama too! 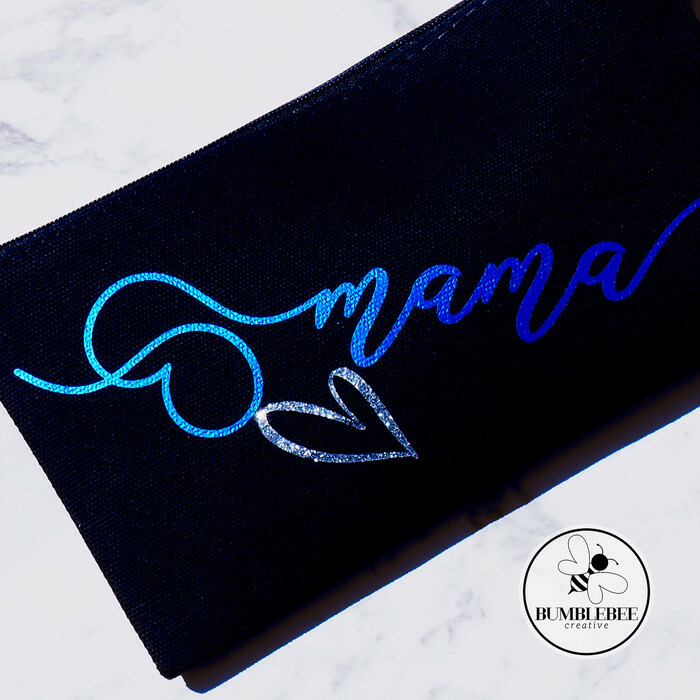 This design can easily be personalised with a name, nickname or monogram. A bag or pouch like this can have many different uses. Carrying a small selection of makeup or toiletries, a tidy little money stash, use it as a pencil case or even to conceal sanitary products. Have a different design in mind? Message me and we can discuss. This is a small, lined canvas cosmetic bag and measures approx 19.5 cms wide x 12 cms tall. Not quite big enough for your needs? I have another much larger cosmetic bag available, go check it out! The bag shown features electric blue htv and silver glitter htv and a blue/silver flower tassel. The scroll ''mama'' measures 20cms in length and is angled to fit. Want the same shimmery look shown on Mama's? 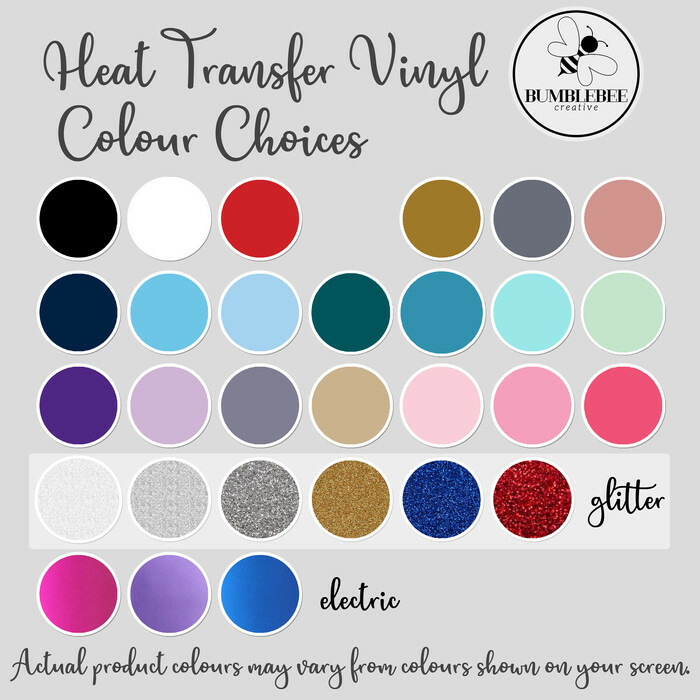 Choose htv in electric blue, electric purple or electric pink. The glitter htv's have a similar but more pronounced effect, demonstrated by the silver glitter heart. 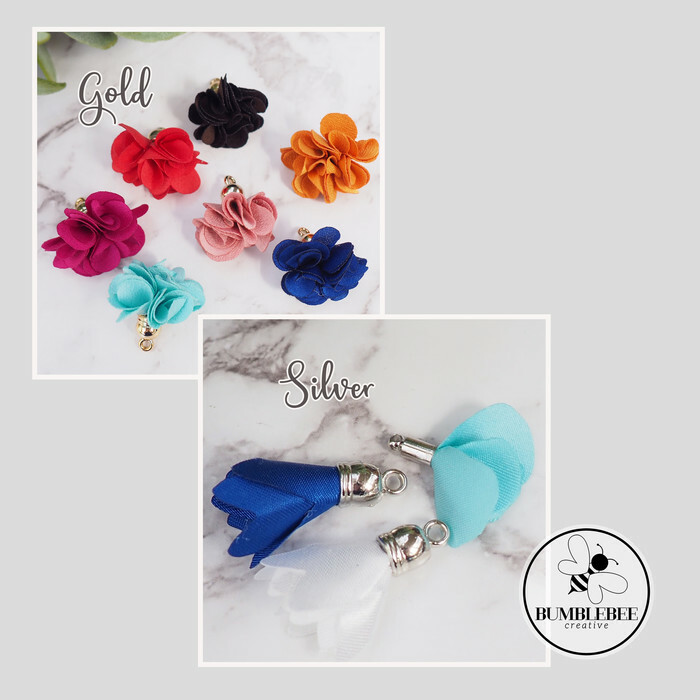 There are 7 gold flower tassels to choose from, one one of each colour is available. There are also silver flower tassels available in white, dark blue and light blue. The blue enamel keychain pictured is available for sale and personalisation separately. Hi, thank you for supporting my handmade business. Please include custom order details, name, vinyl colour and chosen flower tassel. Have a great day!